But, I won't go into detail about that, because Arsenal can't pick up ten points against Wigan on Monday, so let's just focus on picking up three. Wigan have been on an inspired run of form lately, beating Manchester United in midweek. A week ago, they were hard done in a losing effort against Chelsea at Stamford Bridge. They won at Anfield a few weeks ago. They have 16 points from their last 10 games (by comparison, Arsenal have 27, Tottenham have 10.) Wigan have been catching teams by surprise. Arsenal are not in a position where they can afford to be complacent again. Having been burned by QPR two weeks ago, I can't see Arsenal really underestimating this Wigan side like so many other teams have recently. Benayoun has been in fine form since the start of Passover. starting spot, but that joke would be horrible. Sure, it's only Friday now and it has still been only about 40 hours or so since the end of the match against Wolves, but by kick-off Monday, Arsenal will have had four full days off between that match and the Wigan fixture. Playing your weekend fixture on a Monday night after a midweek match really does wonders to rest the legs. That means I would not expect any rotation in the squad. We should still see most of the same regulars in the line-up. Compare this schedule to that of Chelsea, who play Sunday in the FA Cup, then Wednesday against Barcelona, then Saturday at the Emirates, and I'm not envious at all. Laurent Koscielny will serve the second match of his two match ban for accumulating ten yellow cards. He will be available to return against Chelsea next weekend. Kieran Gibbs is still 50/50 in returning from his fatigue, so while we will certainly see Johan Djourou in the middle, we could still see a start from Andre Santos on the left. Gervinho is expected to return to the squad, having recovered from an ankle problem. No idea if he'll be re-inserted into the starting XI; with the way Yossi's been playing, Benayoun deserves to retain his place. Elsewhere, I'd start Tomas Rosicky again in the middle after his day off and drop Aaron Ramsey to the bench, but we'll see what the boss ends up doing. Abou Diaby and Francis Coquelin will return to training next week, both from hamstring problems. The next two weeks in Jack Wilshere's progress will be "decisive," according to Arsene Wenger, regarding whether he'll return for Arsenal this season. Predicted XI: Szczesny, Sagna, Vermaelen, Djourou, Santos, Song, Arteta, Rosicky, Benayoun, Walcott, van Persie. Another match where the opponent does not have much in terms of injury news. That's great for me, it means less research. Wigan have an injury concern over Hugo Rodallega, who has been out for a month with a knee injury. He was too short to come back midweek against United, but stands a chance to be fit for this one. Fellow forward Victor Moses had picked up a knock against Chelsea last weekend, but was fit to play midweek and played 90 minutes. Midfielder David Jones is on the way back from a knee injury himself and could be ready by Monday. This section looks a bit too short again, but I can't just fill it with facts about wolves again, now can I? So, here are some things you may not have known about the city of Wigan! Wigan is the home to the annual World Pie Eating Championship. three of four. Photo: Daily Mail. Arsenal's last home loss came on January 22 against Manchester United. Since then, at the Emirates, they came from behind to beat Aston Villa in the FA Cup, hit seven past ten-man Blackburn, stunned Tottenham with five unanswered goals, put three past Milan (though it wasn't enough to overturn their deficit,) got a late winner against Newcastle, coasted against Aston Villa in the league, then got a late winner against Manchester City. Arsenal have won seven straight games at home, across all competitions. That matches their longest home run of the season; the previous seven game streak was snapped with a 0-0 draw to Marseille. Arsenal have won nine of their last ten league games, picking up 27 of a possible 30 points since the 0-0 draw at Bolton that saw them sitting in seventh. Since the start of February, Wigan have won four league games, drawn four, and lost only two, for a total of 16 points out of 30. They have three wins from their last four, beating Liverpool at Anfield 2-1, Stoke at the DW 2-0, losing to Chelsea 2-1 at the Bridge (though they deserved something from that game,) then beating Manchester United at the DW on Wednesday 1-0. You would have to go back to December 2008 - January 2009 to find the last time Wigan picked up this many points over a four match span. That four game winning streak, tied for second longest in their top flight history, included wins over Blackburn, Newcastle, Bolton, and Tottenham. "Throw me your hats, for I have scored a hat trick!" Wigan Athletic have never picked up a point at the Emirates Stadium and Arsenal have kept six consecutive home clean sheets against the Latics, across all competitions. The only result they've gotten away at Arsenal was in the 2006 Carling Cup semi-final second leg (which was at Highbury) where, despite losing the match 2-1, they advanced on away goals. Damn you, Jason Roberts! That was actually the last time Wigan scored a goal at Arsenal. The results in this fixture since have been 2-0, 3-0, 1-0, 4-0, 2-0, and 3-0. The second and fifth matches in that list were Carling Cup ties. Wigan have four results all-time in 17 matches against Arsenal and all four have come with Wigan at home. They picked up a draw at the DW last year (damn you, Sebastien Squillaci!) and a win at the DW the year before that (damn you, Lukasz Fabianski!) The other draw came in 2008; the other win came in the first leg of that Carling Cup semi-final in 2006. In the reverse fixture this year, Arsenal coasted to a 4-0 victory. Mikel Arteta and Thomas Vermaelen each scored a minute apart to give Arsenal a 2-0 lead just before the half hour mark. 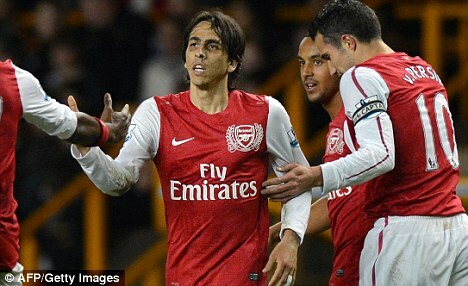 Gervinho added the third just after the hour mark, and Robin van Persie got his name on the score sheet on 78 minutes. Speaking of van Persie, he had a hat trick in this fixture last year, scoring in the 21st, 58th, and 85th minutes. He also put a penalty into Row Z of the stands around the 71st. There have been five Arsenal matches where at least seven combined goals have been scored. 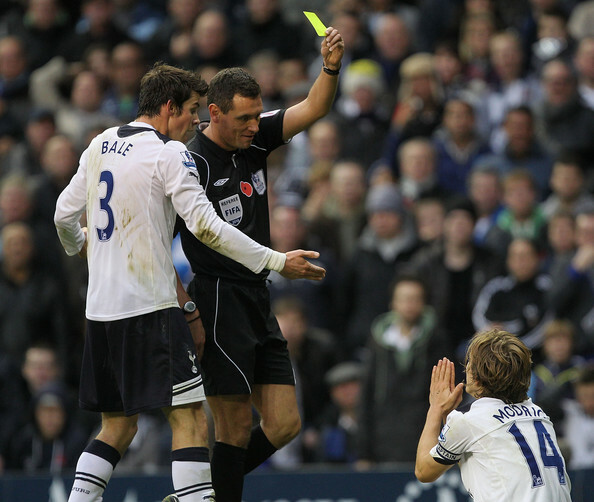 Aside from the disaster at Old Trafford and the brilliance of beating Spurs at the Emirates, the other three have had the same referee, West Midlands-based Andre Marriner, who will take charge of this one as well. Those three matches have seen two Arsenal wins and a loss: the 4-3 setback at Ewood Park against Blackburn Rovers in September, the 5-3 victory over Chelsea at Stamford Bridge in October, and the 7-1 win over Blackburn Rovers at the Emirates in February. That 7-1 win started Arsenal's positive league run of form, but came at a time when they were seventh in the table. I said in that match preview, "given these trends, you'd expect seven or eight goals to be scored in this match, but I'm not sure if Arsenal knows how to do that anymore." It's a good thing they could. Marriner was in the middle of a controversy in a Wigan 3-3 draw with Blackburn in November. Marriner was highly criticized for allowing a Blackburn goal from a corner that was not taken legally, then awarded Rovers a late penalty to get a draw deep into injury time. He did not work another Premier League game for a month after that. Wigan's other match with Marriner in the middle was a 2-0 loss to Swansea. In both of those matches, Wigan failed to win despite having an opposing player sent off. their couches. Probably not like this. Photo: Flickr. The league's fixture list is a bit interrupted by the FA Cup Semi-Finals, which take place this weekend. At Wembley Stadium, there will be two derbies on display, as Liverpool and Everton meet on Saturday, while Tottenham faces Chelsea on Sunday. This means that the teams they would normally have played in the league schedule will have the weekend off. Enjoy your couches this weekend, Newcastle, Bolton, Fulham, and Stoke! These matches will be made up on May 1 and 2. That means that aside from Arsenal v. Wigan, there will only be five other league matches this weekend. Four of them take place on Saturday, as the early match sees Manchester City travel to Carrow Road to face Norwich City. City have now closed the gap to five points at the top; Norwich are currently 10th. Later, Sunderland hosts winless-in-seven Wolves, Swansea hosts Blackburn, and West Brom hosts QPR. On Sunday, Manchester United hosts Aston Villa at Old Trafford. These are the reverse fixtures of those played the weekend of December 3-4.